How does Local Heroes work for Heroes? Read the most commonly asked questions and more. You’re not responding quickly enough to job offers – Keep an eye out for job notifications and respond as soon as possible. 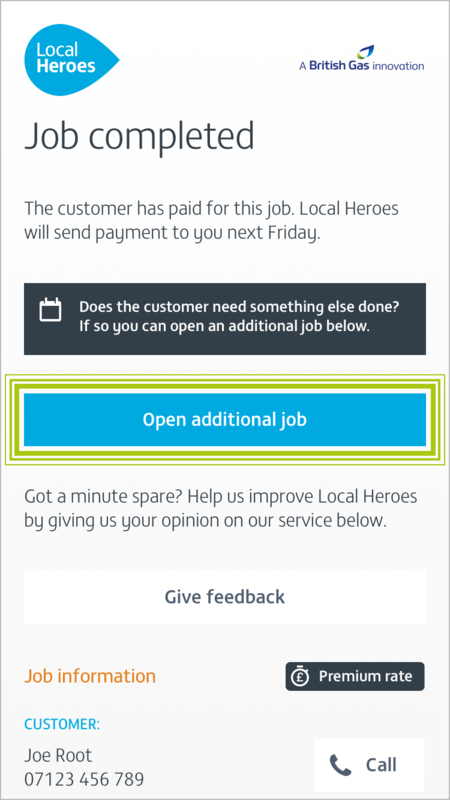 There could be a lot of Heroes in your area – Keep responding to job notifications and you’ll be allocated to a customer soon. Can I reschedule a job? If another job has run over or you need to get parts and you want to change the appointment time, please let the customer know as soon as possible by calling them to agree a new time. Once you have agreed a time you can update the job by hitting the ‘Edit date’ button on the job’s page in the Hero Portal or via your most recent SMS or email job link. 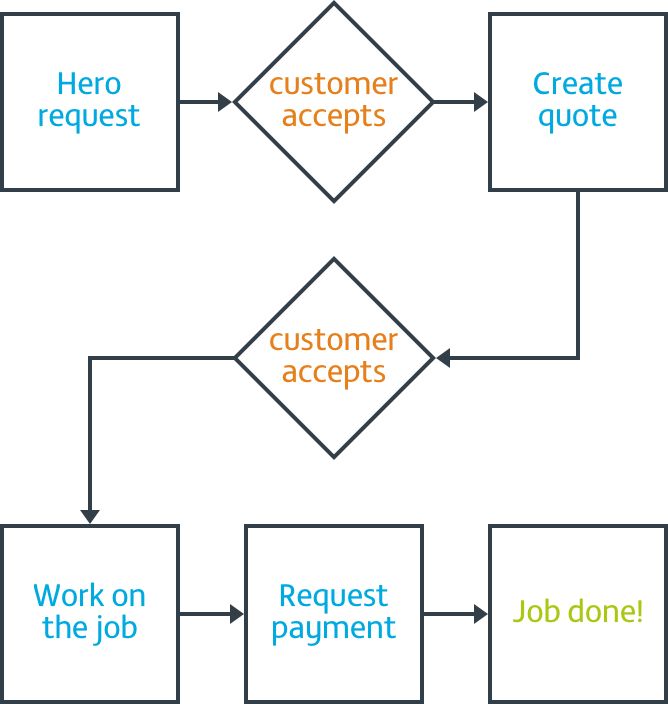 Both customer and trader can have the option to cancel a job at any time, but you should always explain to the customer why you are cancelling and provide details to Local Heroes when you do How do I cancel a job? If you click the job link in your SMS messages or email, you will be able to cancel the job from there. You should always explain to the customer why you are cancelling the job. You will also be asked to give a description as to why you are closing the job when you do. Can I reopen a job if I accidentally close it? This feature will be added soon! For now, please contact us on the details below. After a closer look, the job is bigger or smaller than I quoted for, what do I do? Once you're job is at the 'Waiting for approval' or 'Quote accepted' state you can adjust your quote by pressing the button near the bottom of the page that's labelled 'Edit and resend quote'. Please ensure that the customer has approved the new quote before you start working. The customer wants a second job done, can I book an additional job for them? Yes, its simple! 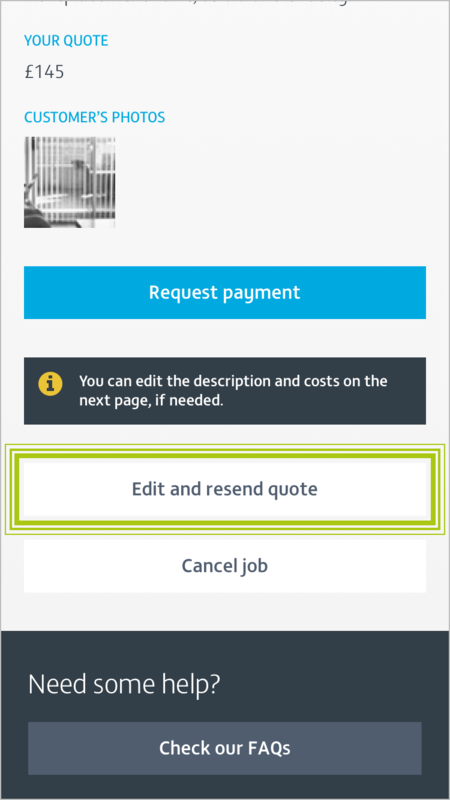 Just look out for the "Open additional job" button when you send the payment request, or after your customer has paid for their original job. Can I alter my quote? 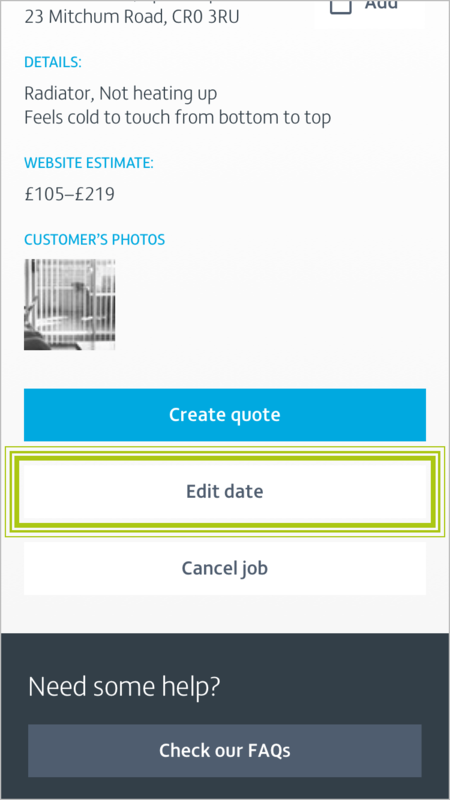 After you have submitted a quote you can alter it by clicking the ‘Edit and resend quote' button on the job status page, accessed from your most recent job SMS or email link.